Combine technical knowledge with creative skills and become a career-ready digital specialist. "I decided to study Digital Media and Web Technologies at the University of Gloucestershire because I liked how varied the course was. I got the chance to develop a broad skillset, from web design to special effects. I am currently working for WellChild, the national charity for sick children. A month into the job I was asked to create all the design work for the annual 'WellChild Awards', attended by Prince Harry. Thanks to the relationships I made in my placement year and the varied skillset I had developed on my course, I could land my dream job and was given a huge amount of responsibility within my first few months." Fantastic opportunities to expand your knowledge and test your ideas. Showcase your work at our very own exhibitions, WEBX and COMX. They are attended by employers and industry insiders. 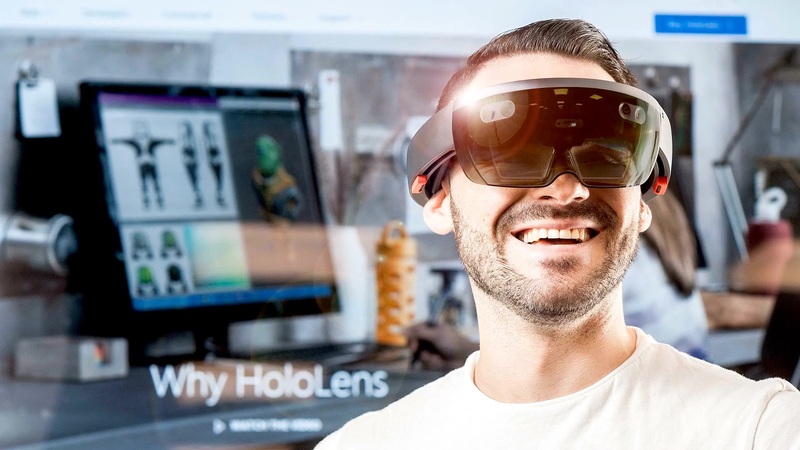 Learn about emerging trends and test experimental tech, such as Leap Motion, VR, HoloLens and Tobii Eye Tracker. Put your new skills to work on live projects, for real clients. Access cutting-edge tech in our brand new computing suites. Learn in our brand new computing suites - we are investing £1.5m in these facilities over two years. You will have access to industry-standard software, including Adobe CC, Autodesk 3DS Max, CryEngine, Unreal and Unity. We also have the very latest, sought after hardware, including Sony dev kits, HoloLens, Oculus Rift, HTC Vive, PlayStation VR, Leap Motion, Motion Capture, eye tracking, game controllers, 4K/3D TVs, quadcopters and robots. "I graduated as the highest-graded undergraduate student from the University of Gloucestershire in 2009, so I have a unique understanding of the skills and experience our students require for success. Since graduating, I have worked in the industry as an eLearning courseware developer, media developer and mobile app developer - developing for both iOS and Android platforms. I have also worked for Content Master, delivering high quality training materials for various blue-chip companies, including Microsoft, IBM, Orange and T-Mobile." View full profile View Computing and IT staff profiles. Join Jaime on a trip to Bulgaria, where he tests ideas for his latest project. Take our computing profile quiz to discover your computing profile! You also have the option to complete a year-long work placement. Students have worked at Rancon, Montpellier Creative, Athena Web Design and IBM. You'll analyse how applications can work within a real-world context by taking exciting field trips. Students visited the Design Museum in London to see how technology could influence perceptions of the artefacts, the VR World Congress conference to get hands on experience of cutting edge virtual reality solutions and Tamworth Snow Dome to produce applications assisting skiers. Think you've got what it takes to piece together an innovative web solution from scraps of code, in 48 hours? You'll get the chance to enter our webathon challenge for rewarding prizes. You can also exhibit your own work at the university’s COMX event where practitioners talent scout soon-to-be graduates. Get Digital Media and Web Technologies course updates and hear more about studying with us. A very hands-on degree creating portfolios of design work, websites, presentations and exhibitions. You'll be mentored through video tutorials, electronic documents and mini-workshops where, through remote assisting software, the tutor and can display their screen alongside the student's. In your first year you will learn to design, develop and deploy HTML5 and CSS3 compliant websites for a live client, right from the ground up. In your second year you will take things to the next level and work with mobile devices, creating apps and web-based content for mobile devices. The final year of this degree you will explore search engine optimisation, social media marketing and digital methods to manage information for customers. Discover how to analyse and gather big data sets by using specialist hardware such as the Tobii Eye Tracker, the Oculus Rift, HTC VIVE or the Leap Motion. Students also have the option to complete a work placement as part of the course with previous companies including Intel, GE Aviation, Codemasters, Athena Web Design, IBM and Microsoft. Enjoy learning from industry experts at our guest speaker event held annually. International Students: Please see the full details of entry requirements in your country. If you do not meet the academic and English language requirements, you should consider a preparation course at INTO University of Gloucestershire, which will help to prepare you for study on this degree. 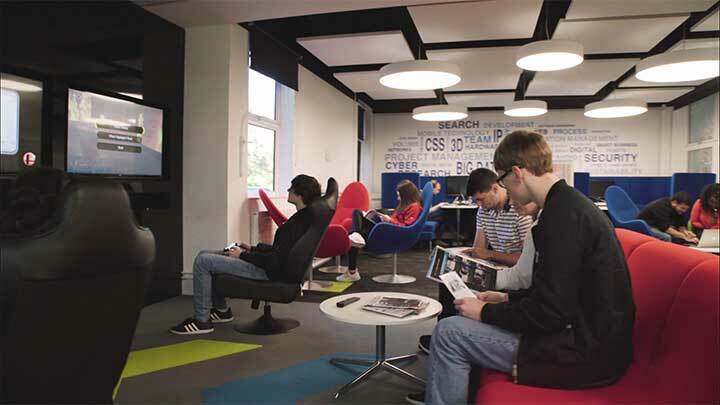 INTO University of Gloucestershire is based at our Park campus and offers a range of courses including International Foundation Art, Design and Media and International Year One Art, Design and Media. Can't wait? Book a campus visit (next date: Wednesday 15 May). Fill in the form below and we'll be in touch with Digital Media and Web Technologies updates, upcoming events and everything you need to know about university life.